The Asus ZenWatch 2 isn't nearly the best smartwatch out there. But, with a comfy fit, an affordable price tag and (albeit limited) iPhone compatibility, it's far better than what was expected. Update: The Asus ZenWatch 2 has punched its way into our list of best Android Wear watches. It offers an attractive combination of looks, specs and value to make it an easy choice for those looking to get in on the low end. Google has announced Android Wear 2.0, the first major overhaul to the wearable platform. Though only the Huawei Watch and LG Watch Urbane 2nd Edition support the developer preview, will the ZenWatch 2 be supported with the final release? We think so. Click the link above to see what all the fuss is about with the next Android Wear update. 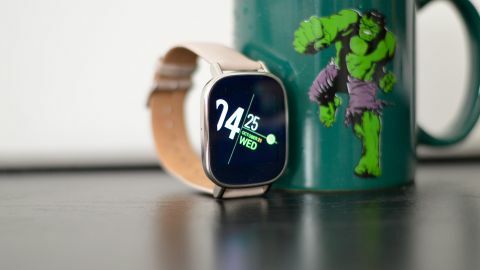 The Asus ZenWatch launched without much fanfare last year but captivated many with its Apple Watch-esque design – even before the Apple's first wearable was out. Its small price tag also made it the most affordable Android Wear smartwatch on the market. Regardless, it wasn't the most comfortable or, frankly, interesting wearable you could own. Thankfully, the new Asus ZenWatch 2 is far more promising. Still keeping with the low sum of US$129 (about £110, AU$179) for the silver face and rubber band, and US$149 (£149.99, about AU$210) for the same with a leather band a buckle-type strap - in both sizes - it's far cheaper than its predecessor's initial launch price of US$199 (£199, about AU$252). With the ZenWatch 2 available in two sizes – with the smaller fit presumably for women, judging by the marketing – it opens up a wider pool of options, making this second-generation wearable much more appealing. Asus sent the smaller of the two options, or the W1502Q model, since I have smaller wrists. There are slight design differences between the W1502Q and bigger W1501Q, but nothing too drastic. The display of the smaller ZenWatch 2 is a two-finger-touch AMOLED screen, made of curved Corning Gorilla Glass 3 that measures in at 1.45 inches on the diagonal. In terms of sharpness, the screen offers up a 280 x 280 resolution, or 273 pixels per inch (ppi). It's not quite as sharp as the larger ZenWatch's 1.63-inch, 320 x 320 (277 ppi) – but that is to be expected. The second-gen watch I've tested is also smaller compared to the first watch's 1.63-inch, 320 x 320 (278 ppi) OLED screen. Because the screen is smaller and more dense, there's hardly any pixelation in sight. I ran through every watch face and tried multiple apps, like Amazon and Google Maps, without seeing anything too glaring. A few images in the Photos face show pixels very slightly, but you can barely tell. Like the older ZenWatch, the new ZenWatch's screen also remains bright and crisp. However, I'd go so far as to say that it might be too small for many people. That's the double-edged sword with wearables: you get stuck with a small display for the sake of comfort, or a roomier screen and with it, an uncomfortable fit.